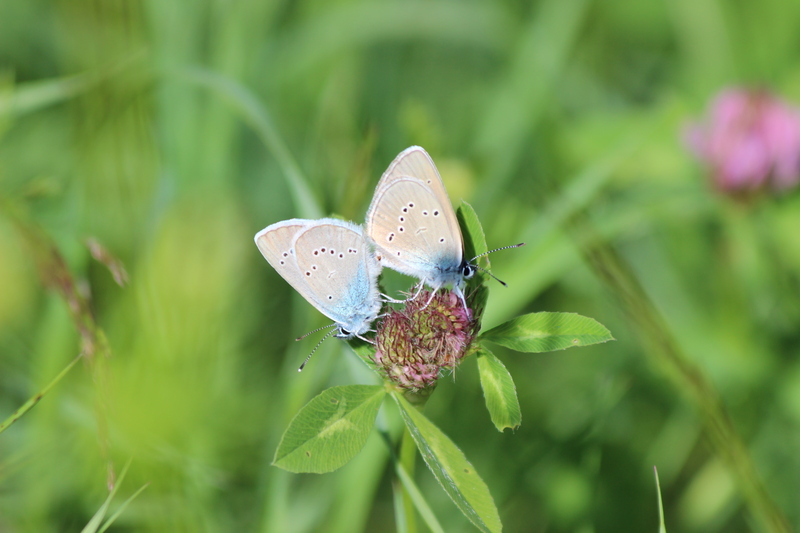 Take part in a butterfly watching tour that introduces Estonian butterfly species. 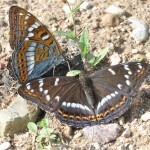 several rare birds and plant species. 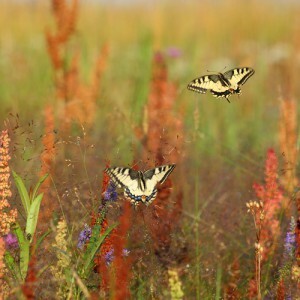 Estonian nature offers numeros of insects, dragonflies, butterflies and all this you will find on splendid landscape. A number of marsh communities cover about one tenth of Estonia and, in the world, we are at the forefront with our protected marshes. 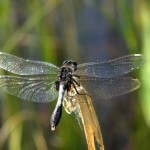 As agricultural activities are intense in the densely populated Europe, almost all marshes have been destroyed and nature conservationists are trying to renew these. About half of Estonia is covered in forests and here you will find more coastal meadows, alvars and woodlands than in any other European country. 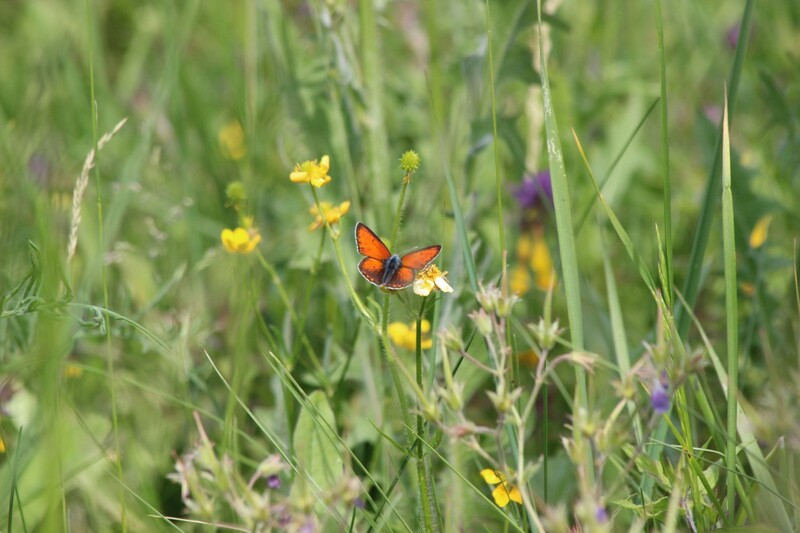 Here is located also one of the largest meadows in Europe – Kasari meadow of 4,000 hectares. Many of the abovementioned habitats are vitally important for rare butterfly and dragonfly species. 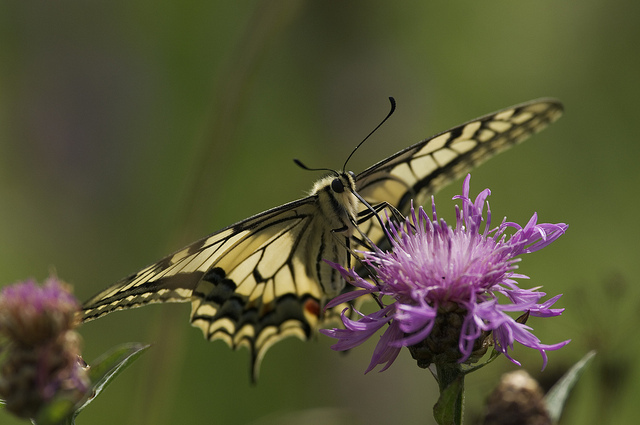 We may see the following day-flying butterflies: Old World Swallowtail – Papilio machaon, Large White – Pieris brassicae, Small White -Pieris rapae, Cranberry Blue – Vacciniina optilete, Green-veined White – Pieris napi, Common Brimstone – Gonepteryx rhamni, Amanda´s Blue – Polyommatus amandus, Woodland Brown – Lopinga achine, Chestnut Heath – Coenonympha glycerion, Wood White – Leptidea sinapis, Arran Brown – Erebia ligea, Grayling – Hipparchia semele and others, Purple Emperor – Apatura iris, Lesser Purple Emperor -Apatura ilia, White Admiral – Limenitis camilla, Red Admiral- Vanessa atlanta, Small Tortoiseshell – Aglais urticae, and other Nymphalidae, Lycaenidae and other butterflies. 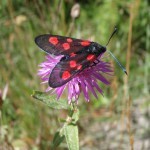 At night, we may see owlet moths, inchworms, Arctiidae, spinner moths, etc. 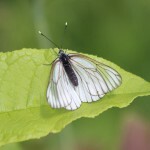 In total, we will see about 60 different species of butterflies. 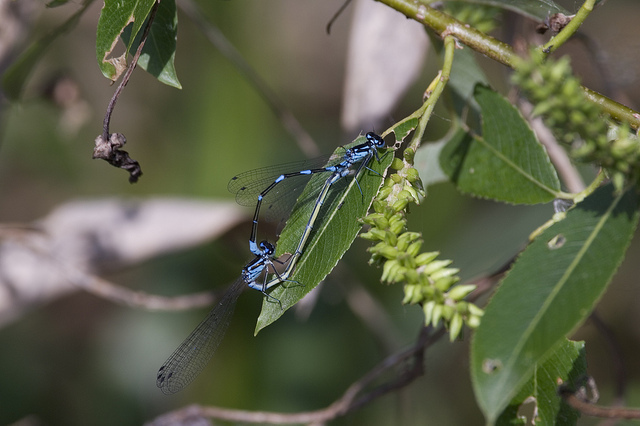 We may see the following dragonflies: Beautiful Demoiselle, Small Spreadwing, Common Spreadwing, Siberian Winter Damsel, Common Bluet, Moorland (Common) Hawker, Blue (Southern) Hawker, Brown Hawker, Migrant Hawker, Baltic Hawker, Yellow-spotted Emerald, Four-spotted Chaser, Black-tailed Skimmer, Black Darter, Yellow-winged Darter, Ruddy Darter, Common Darter, Moustached (Vagrant) Darter, etc. 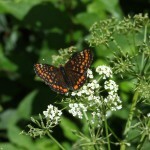 In addition to butterflies, we will see several species of birds. 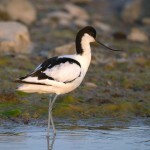 For example, Black Grouse, Common Crane, Dunlin, Common & Arctic Terns, Barred Warbler, Red-backed Shrike, Corncrakes, Bitterns, Marsh Harriers, White-tailed Eagles, Common Scoters, Arctic Skuas, Cranes and Black Storks, Black, Grey-headed, and Green Woodpeckers. Although our trip does not focus on different species of mammals, we could see following: moose, roe, red deer, fox, wolf, pine marten, rabbit, lynx, wild boar and beaver. 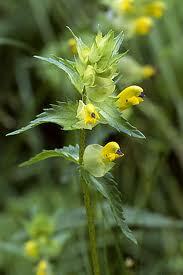 We will see the following plants: Sa aremaa Yellow Rattle, which grows only on Saaremaa and nowhere else. It blooms in August. We will also see orchid Liparis loeselii, Wallrue, eye-catching Pyramidal Orchid, Musk Orchid, Seaside Brookweed, Longbract Sedge, Herpaceous Seepweed, Jamaica Swamp Sawgrass, Alpine Butterwort, Short-spurred Fragrant Orchid, Blunt-flowered Rush, Cut-leaved Cranesbill, Ceph, Lesser Rattlesnake Plaintain, Lesser Twayblade, Black Pea, Garden Angelica, Sea Kale, Ray`s Knotgrass, Swedish Whitebeam, Wallrue, Longbract Sedge, White Stonecrop, European Yew, Dark Red Helleborine, Early Purple Orchid, Tufted Forget-Me-Not, etc. In addition to these, we will see several species of orchid which do not bloom at the time, but can be found. We give examples and You can decide which one you would like. You will pay directly to the accommodations and restaurants. Climate: Our climate is temperate. Estonia on the coast of the Baltic Sea is on the same latitude as central Sweden and the northernmost point of Scotland. We prefer small groups, but we will not turn down bigger groups if the size is agreed beforehand. Our guide will meet you at Tallinn Airport. 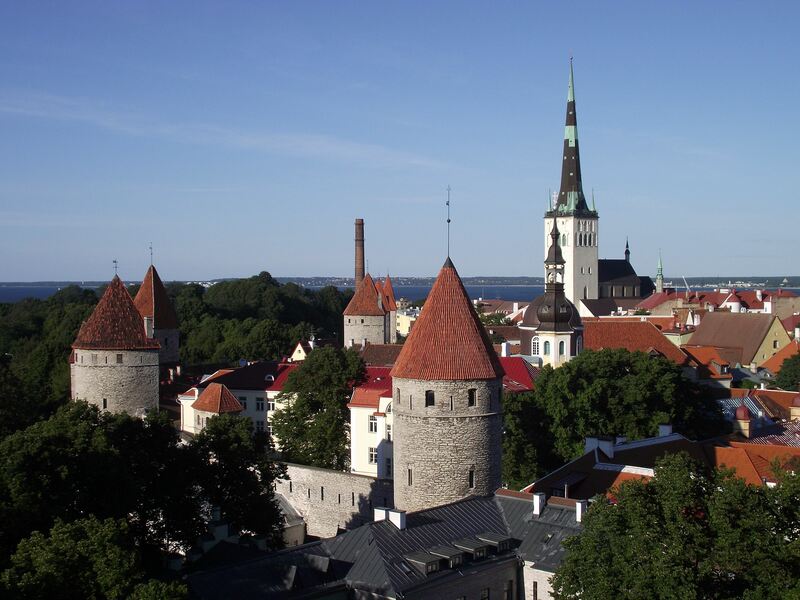 Then we will take our luggage to My City Hotel, which is located in the Old Town of Tallinn. Before dinner we will take a tour in the Old Town, which is a must when visiting Estonia. The medieval Old Town of Tallinn, the best preserved old town in northern Europe, is a UNESCO World Heritage Site. 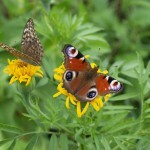 After this, we will show you the largest private collection of butterflies in Estonia. This is a unique opportunity only we can offer. After breakfast, we will start our butterfly trip to Hiiumaa, the second largest island in Estonia. It is located in the Baltic Sea. Before arriving, we will visit several places with beautiful nature. For example, Dirham, Pürksi, Türisalu bank, Keila-Joa, Open Air Museum, Padise. 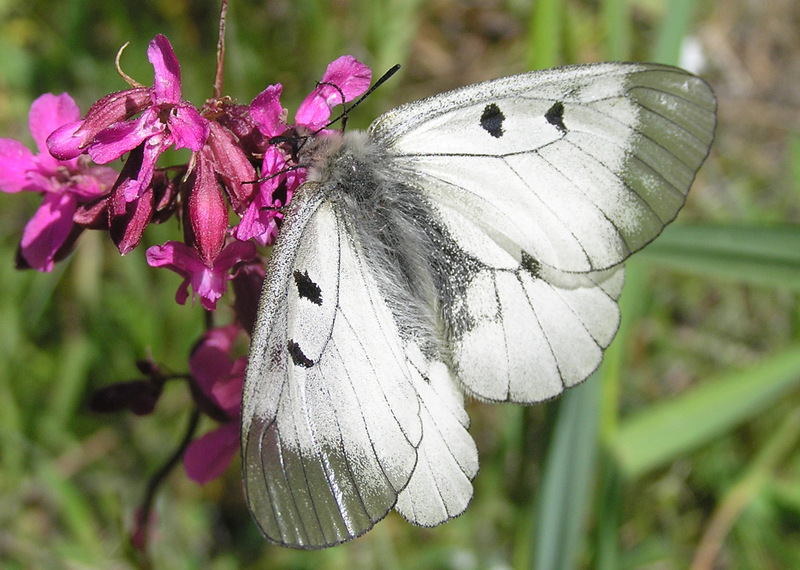 We will watch a variety of butterflies, also go mushrooming and pick bilberries in the forest. 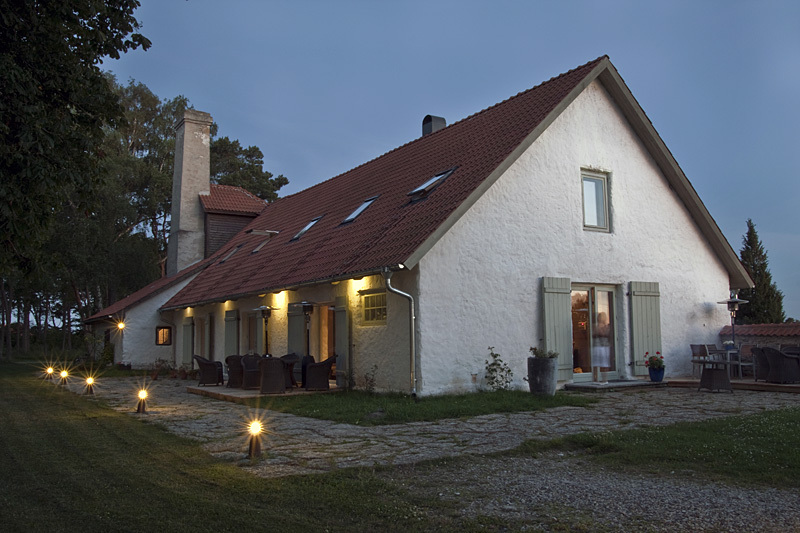 We arrive on Hiiumaa in the evening and stay there for two nights. Overnight stay is organized in Dagen House at the seaside. 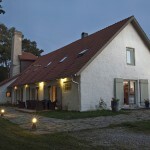 In 2009, Lonely Planet chose Dagen House as one among the 99 most unique small hotels in the world, it placed 33. The most important factor is that our hotel is located in Käina-Kassari area. Kassari is in the south-eastern part of Hiiumaa. It has impressive natural communities like alvars, junipers and sandy meadows with trees. Kidney Vetch (Anthyllis coccinea), Wild Orchid (Dactylorhiza baltica),Brookweed (Samolus valerandi), Small Scabious (Scabiosa columbaria), also rare Swamp Angelica (Angelica palustris)have been found here. 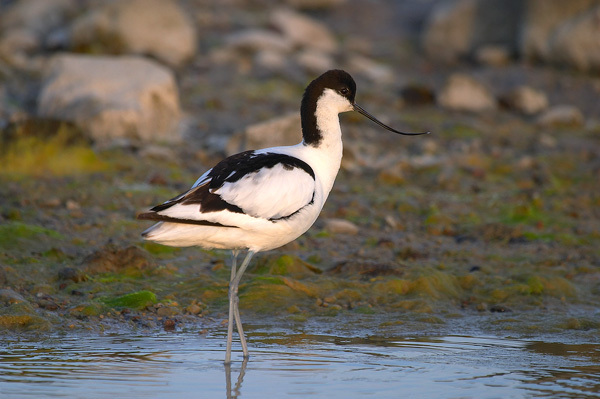 Käina Bay is one of the most important areas of Hiiumaa in terms of bird species’ diversity. About 455 million years ago an archipelago of tens of kilometres in width was created near Kärdla, the capital of Hiiumaa, as a result of a meteorite explosion. These were the first islands in the current location of Hiiumaa and the mentioned hundreds of millions of years make Hiiumaa one of the oldest islands in the world. The coast of Sweden is 250 km to the west and the coast of Finland is 120 km to the north. Hiiumaa is located in an area where the coniferous forests are replaced by broadleaf forests. On Hiiumaa, the following dominate the landscape: pine forests, swampy broadleaf forests, spruce mixed forests and junipers, coastal meadows and dunes, bogs and fens. Alvars (where a thin layer of soil covers limestone plains) on Hiiumaa are fascinating. 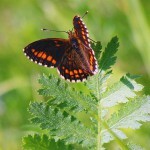 Many good places for butterfly watching. Hiiumaa has the most forests among counties in Estonia – about 70% of the island is covered in forest and bushes. 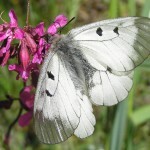 The biodiversity on Hiiumaa is significant. About 1,000 species of taller plants grow here. 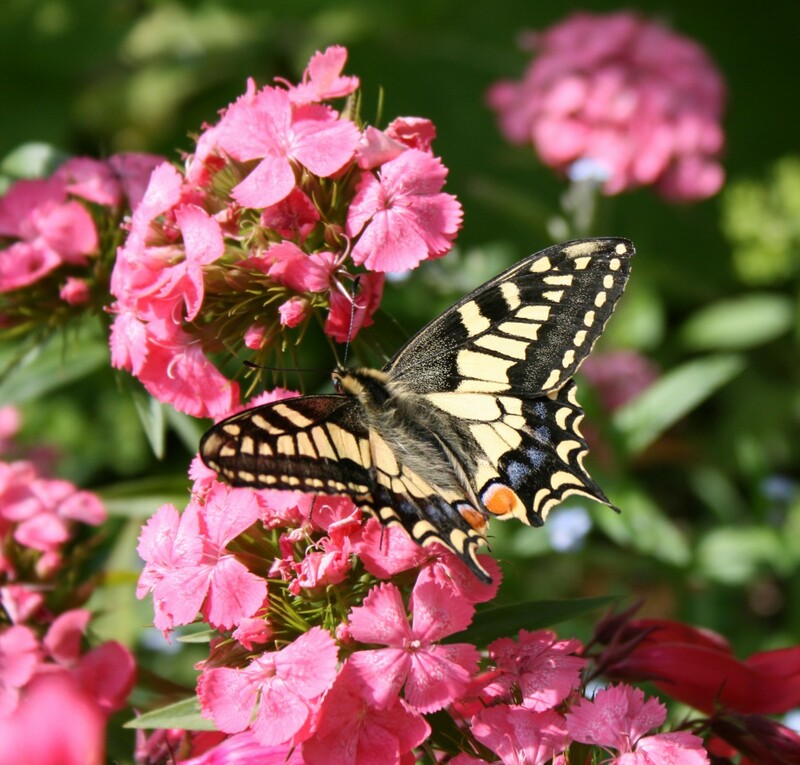 More than 50 plant species are protected, for example, European Yew, Common Ivy, Sea Holly, and Allseed. In the waters around Hiiumaa, ringed seals and grey seals have gathered. This is remarkable for the Baltic Sea. 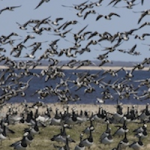 Important bird migration routes pass above Hiiumaa. About 200 islets and reefs are found around Hiiumaa. 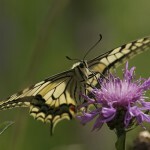 Today we will watch butterflies about twenty kilometres away from our accommodation in Pihla-Kaibaldi Nature Reserve. Most lively life can be found on the seashore, whereas the central part of the island is the complete opposite to it. Pihla bog stretches here far, it is surrounded by smaller marshes, forested dunes, and unique-looking forests. 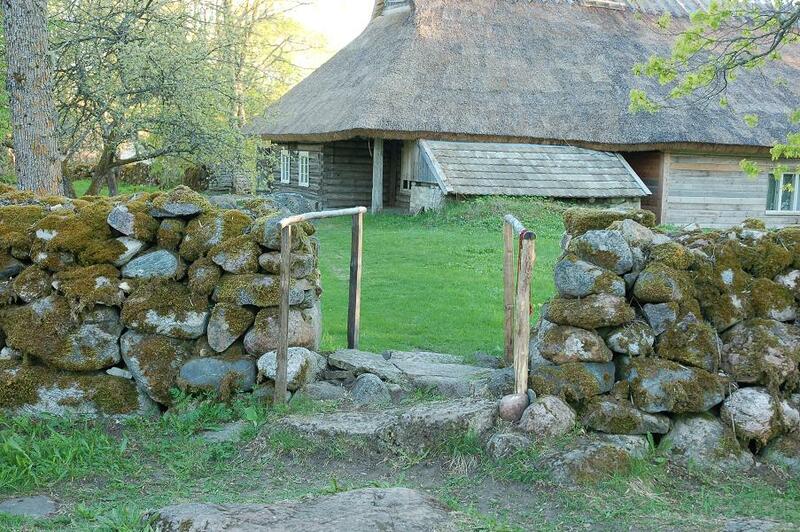 All these are located in the largest nature reserve, Pihla-Kaibaldi, on Hiiumaa. Pihla bog is almost uninhabited and liked by animals and rare plants. 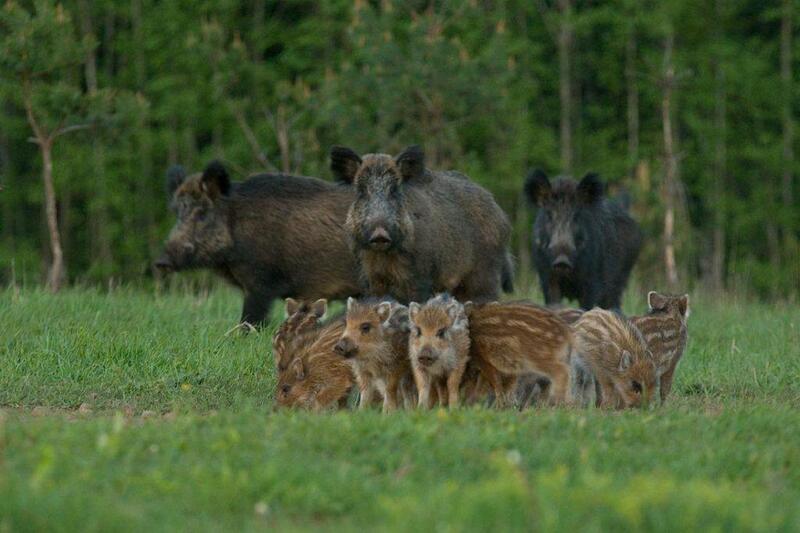 It is an important habitat of breeding birds’ community and a recovery place for large game. 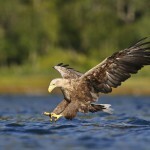 The nature reserve includes the habitats of Golden Eagle (protection category I) and Northern Goshawk (protection category II). The following are the most important protected plant species that can be found here: White Adder`s Mouth, Lesser Twayblade, Early Coralroot, Fly Orchid, and Brown Beak Sedge (protection category II). Also, several plant species which belong to the protection category III can be found here. These belong mostly to the orchid family. On Kaibaldi moor, sand plains stretch among vast primeval pine forests (15–20 ha). Now there are very few signs of human activity in this nature reserve. 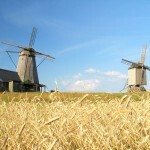 The area invites and tempts the locals with its cranberries, bilberries, cowberries and mushrooms. It is said that once upon a time the last witch of Hiiumaa was burnt here. The witch is said to have promised that it would be impossible to live in the area which stretches as far as her cries can be heard. Most of the villages and farms that were on the surrounding marsh islands are now empty, so that there are no permanently inhabited farms in the neighbourhood of the nature reserve. 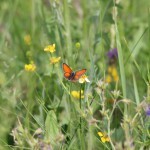 We will continue our butterfly watching tour on Sarve peninsula. In the evening, we will visit Vaemla Wool Factory, which gives us a practical demonstration of the production line. The factory was established in 1841 and after the end of collective farms, it was used for wool exchange. Since 1992, the factory has been run by the Valdma family as a local wool processing firm. We will start the day with a trip to Kõpu peninsula. More than 80 rare species have been found in Kõpu: Ghost Orchid, Lesser Twayblade, Narrow-leaved Marsh-orchid, Twinflower, Fen Orchid, Burnt Orchid and Frog Orchid, also the attractivebeing just a few of them (not all of them are blooming yet). We will also visit Kõpu Lighthouse, which is the oldest in the Baltic Sea area and the Baltic States, and allegedly, the second or third oldest lighthouse in the world, whose light has been continuously shining. Here on Kõpu peninsula, where the sound of the sea caresses your ears, the horizon is the blue sea and you see golden sands, we will eat our lunch which is prepared on a grill right before our eyes. After lunch, we will visit Ristna Nature Centre and Rebastemäe Nature Trail. Saaremaa is among the thousand places which one must visit before death as is recommended in the New York Times bestseller 1000 Places to See Before You Die. It was published at the end of 2011. 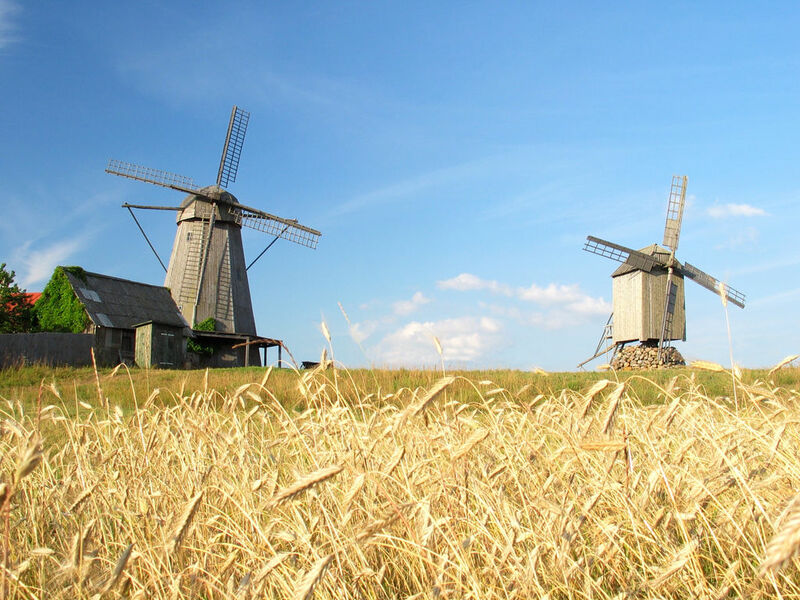 Saaremaa is rich in plant species thanks to soft maritime climate and limestone soil. It is affirmed by the fact that here we can find 80% of all the plant species that grow in Estonia. These grow on alvars rich in species, beach meadows and woodlands and broadleaf forests. 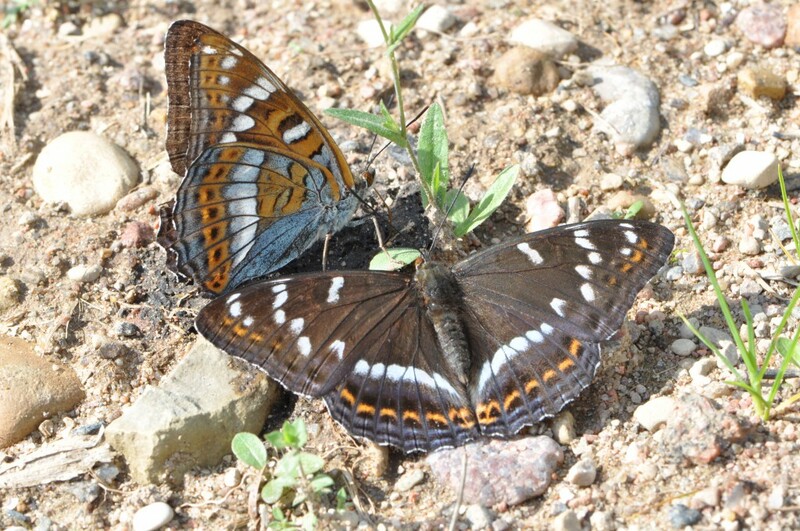 Very good place for butterfly watching. 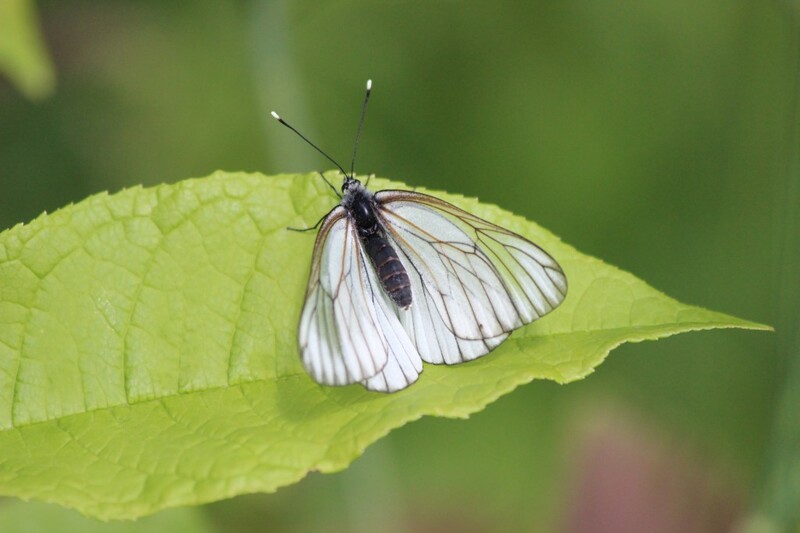 Lepidopterologist spend most of their time in this island. 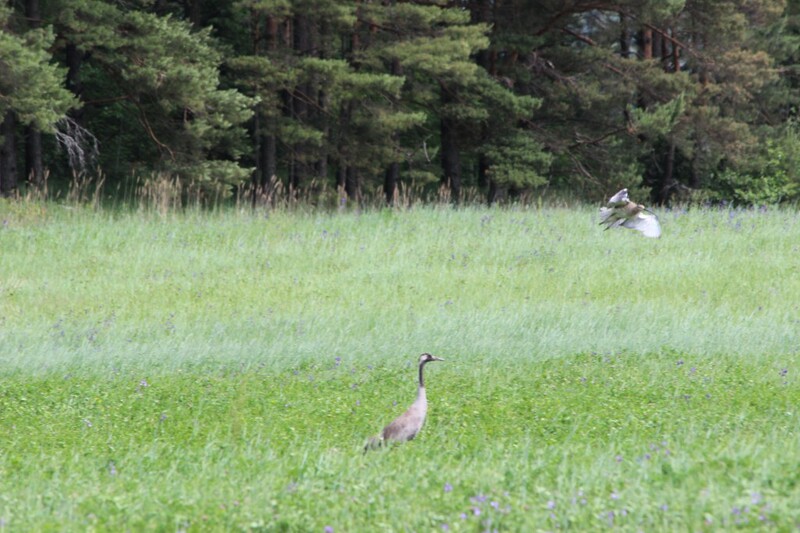 Today we will visit Viidumäe Nature Reserve. 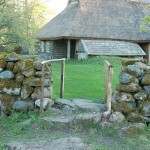 The Viidumäe Nature Reserve is located in the highest and oldest part of Saaremaa Island. 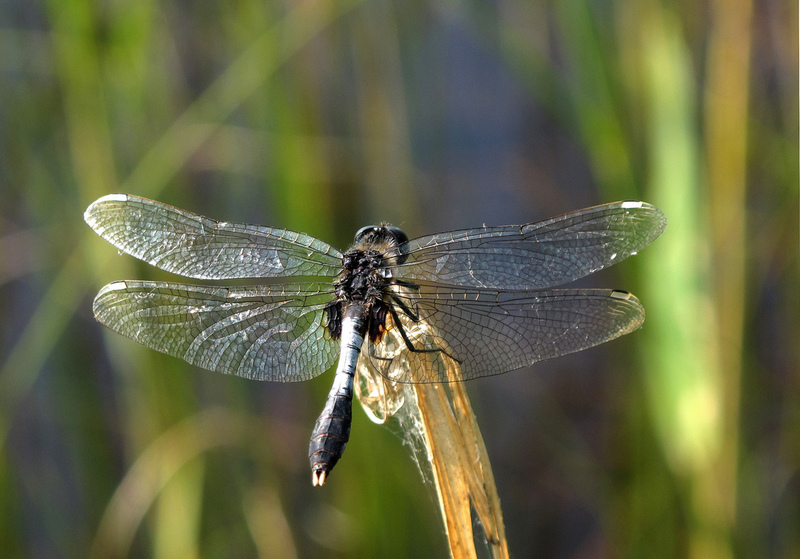 In Viidumäe forests, marshes and on its meadows, naturalists noticed first the local plants. By now, approximately 700 vascular plant species are known to be here, 59 protected rare plants among others. 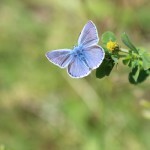 The nature reserve, which was established more than 50 years ago, has now been researched thoroughly and representatives of many different biological groups have been found, for example, 675 macrolepidoptera, 660 mushroom species, more than 200 spider species, 91 breeding bird species, more than 230 species of moss and also more than 230 species of lichen. This list could go on. Several different types of forests can be seen in Viidumäe: swamp forests, heath pine forests with high trees as well as alvar and nemoral forests. The surroundings of Viidumäe could be compared to a natural botanical garden. 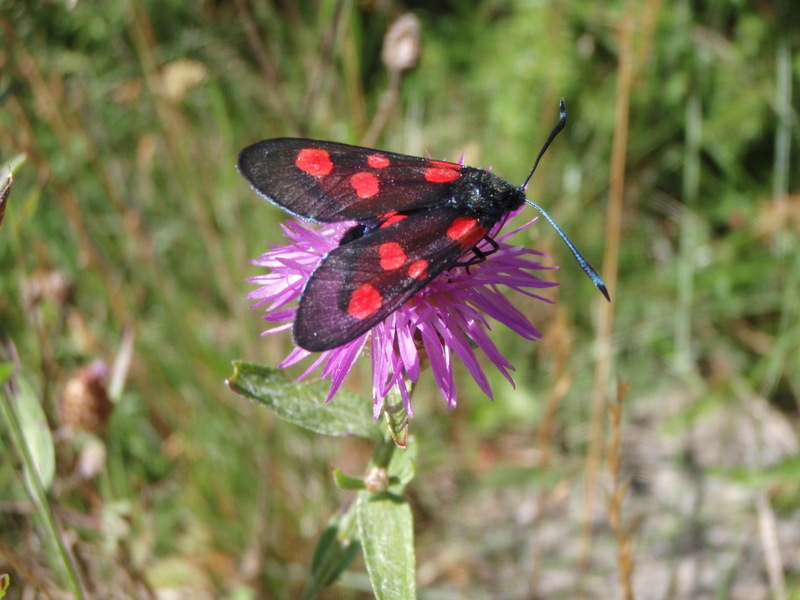 More than half of the plants on Saaremaa fit onto a tiny area, and many of these are rare. Here we can find the habitat of, for example, the famous Saaremaa Yellow Rattle (Rhinanthus osiliensis) which blooms in August. No other plant grows only in Estonia! Another rare plant to be found in Viidumäe is Alpine Butterwort (Pinguicula alpina). 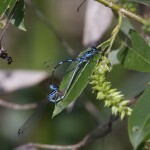 It has received its name due to its broad leaves which it uses to catch insects. The plant has been growing in Viidumäe since the warm period following the last ice age. 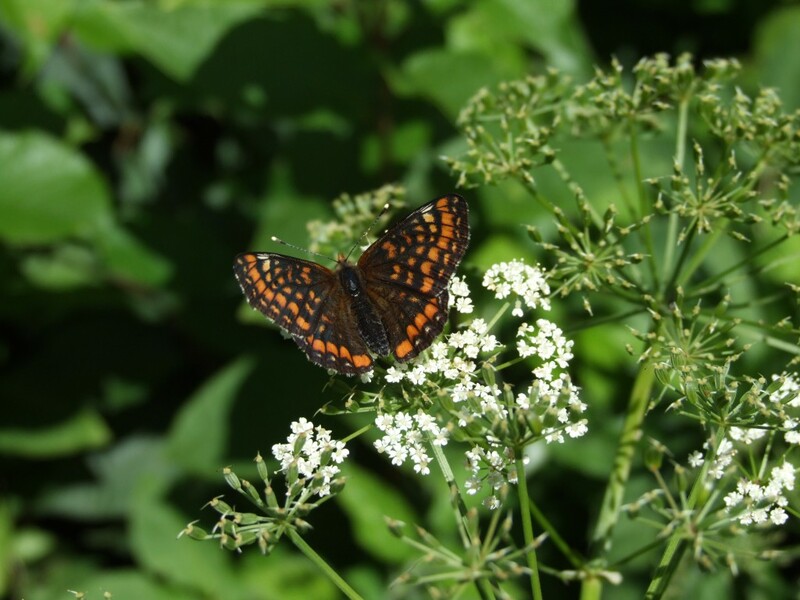 We see here also Davall`s Sedge and Tawny Sedge, Brown Bogrush Fen, Bird`s-Eye Primrose, Tofield`s Asphodel, Marsh Grass-of-Parnassus; short stocky pines can be also found. In its north-eastern-most area, we can find Blunt-Flowered Rush (Juncus subnodulosus) and on the southern border, Alpine Butterwort (Pinguicula alpina). Many orchid family species grow here: Short-Spurred Fragrant Orchid (Gymnadenia odoratissima), Fen Orchid (Liparis loeselii); Early Marsh Orchid, Heath Spotted Orchid and Russian Orchid (Dactylorhiza incarnata, D. maculata, D. russowii), Marsh Helleborine (Epipactis palustris). In places, areas covered with Sweetgale (Myrica gale) and thick patches of Great Fen Sedge (Cladium mariscus) can be found. Rarely Black Bog-rush (Schoenus nigricans) may be seen here. 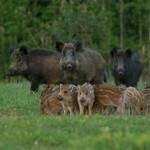 The largest four-legged inhabitants of Viidumäe forests are moose, deer, wild boar and roe. In the forest, the typical small predator is the European Pine Marten, there are also several colonies of badgers and foxes. Many Passeriformes nest in Viidumäe forests: several different woodpeckers (most common are Black Woodpecker, Great and Lesser Spotted Woodpecker), Boreal Owl, Eurasian Tawny Owl, Eurasian Pygmy Owl, European Nightjar, and Stock Dove. Common Ravens and 2 white-tailed Eagle couples live here. A Black Stork couple have been living in the neighbourhood for several years, and if you get lucky, you might see them circling above the conservation area. In the evening, we will visit Kuressaare Castle. 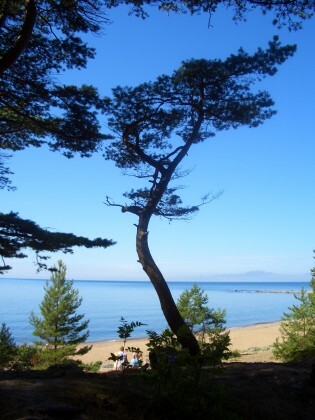 Today`s first trip is to Sõrve peninsula. 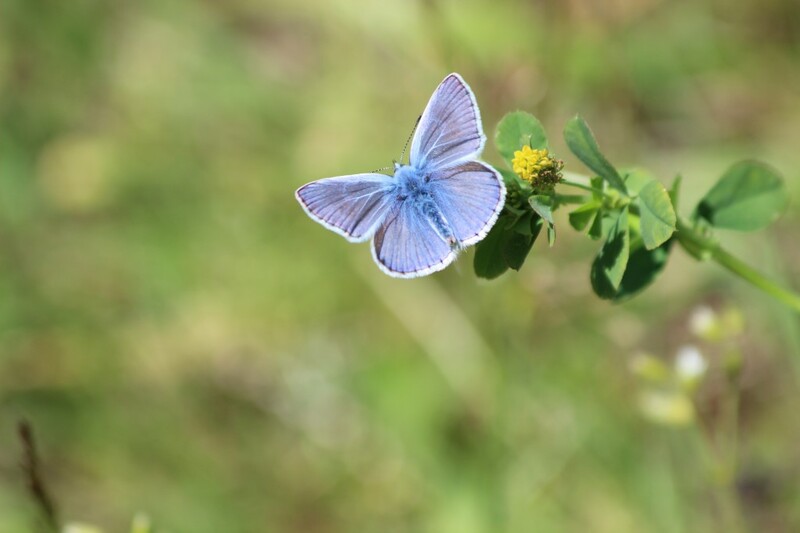 Estonian lepidopterologists have discovered many new butterfly species, so this is one of the favourite places for butterfly enthusiasts. After lunch, we will look for rare species on Tagamõisa peninsula. It is rich in species: it is possible that about 500–600 vascular plant species grow on local alvars (bear alvar meadows, among junipers and in alvar forests), in many lakes with shallow waters and the fens surrounding these, on the woodland meadows rich in species, and on the limestone that crops out on the water and land boundary, on walls of shingles amassed by the sea and dunes on the beach. Together with protected species we may see here on Tagamõisa peninsula another 7 species that have been entered in the Red Book of Endangered Species. On the last day of the tour we will visit the following places before reaching the mainland. We will visit Kaali to see the meteorite crater formed some 4,000 years ago and also Koguva Musem-village. Before going on the ferry, we will have lunch in one of the top restaurants in Estonia – Pädaste Manor restaurant. When we reach the mainland, we will take a walk on the woodland meadow of Laelatu. Its name is known to many plant enthusiasts. It is considered one of the plant communities that are the richest in species in Europe – a maximum of 76 species of plants has been counted here per one square metre. 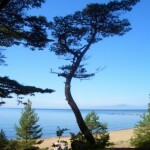 Before arriving in Tallinn and our tour comes to an end, we will go to Kasari Bay. 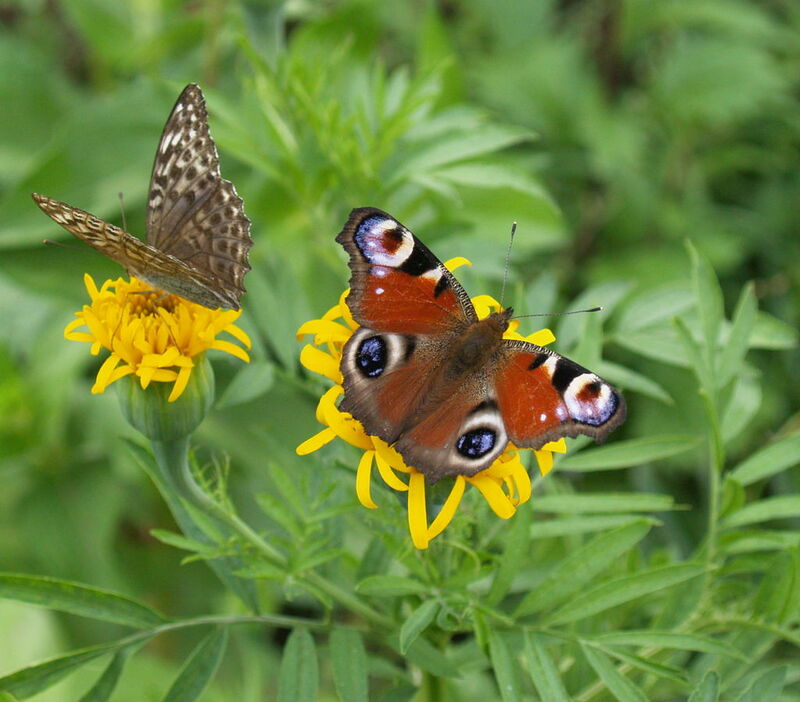 Kasari is one of the largest meadows in Europe – 4,000 hectares. 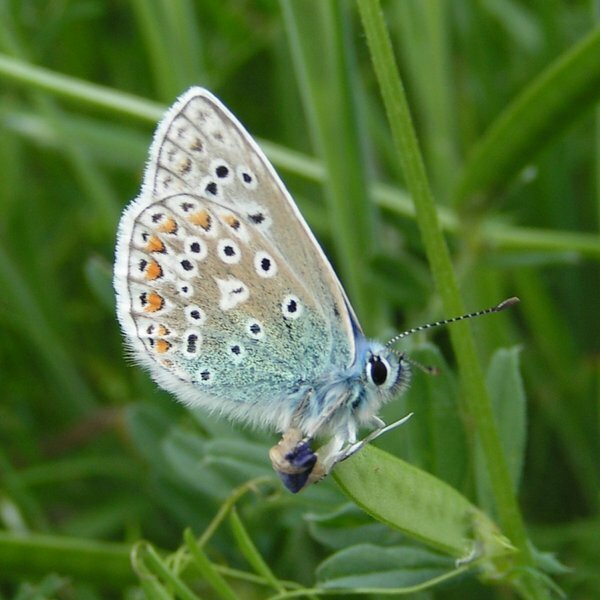 Many of the abovementioned habitats are vital for rare butterfly and dragonfly species.